Gallery - Superior West Electric - Your Vancouver Electrician ! We take pride in the work we do. Have a look at some of the photo's from our projects! 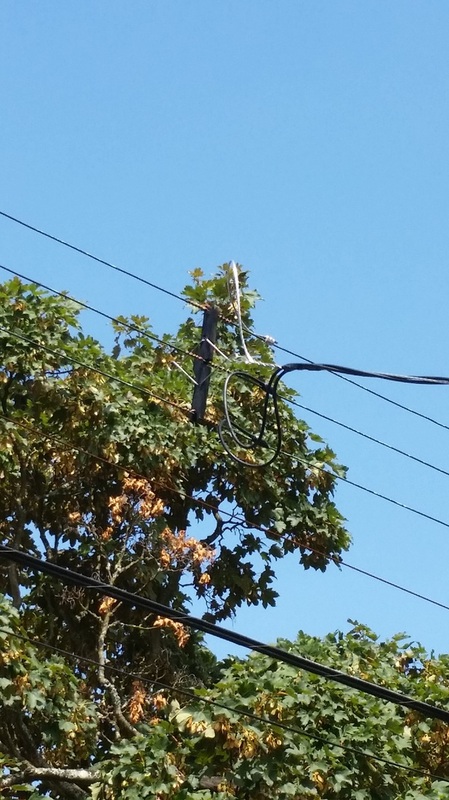 200A Service Upgrade: The meter was relocated to the corner of the home with the mast running through the roof. 200A Service cable was used to supply power to the new service panel located in the mechanical room. An old fluorescent lighting ballast beside a new electronic ballast. 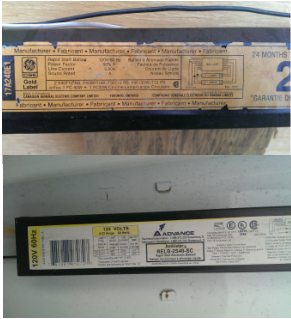 Old ballasts run hot and consume a great amount of power compared to new electronic ballasts. 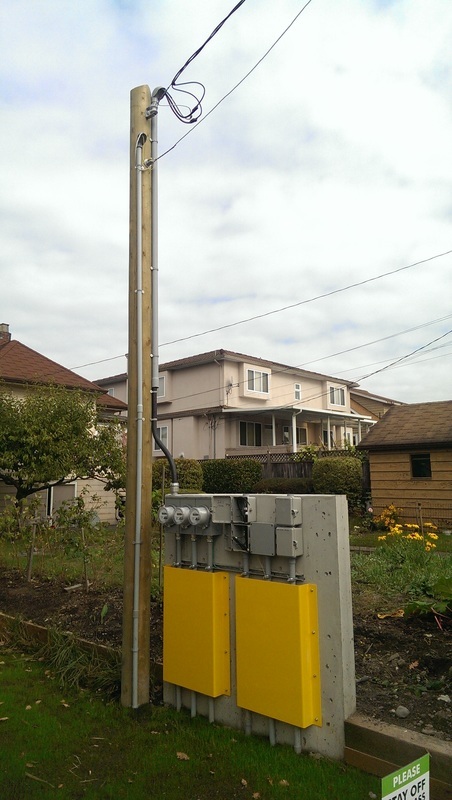 A new 200A overhead service for a Duplex and Infill home in Vancouver. A concrete wall was built for the triple BC Hydro Meter base and telephone and TV service. 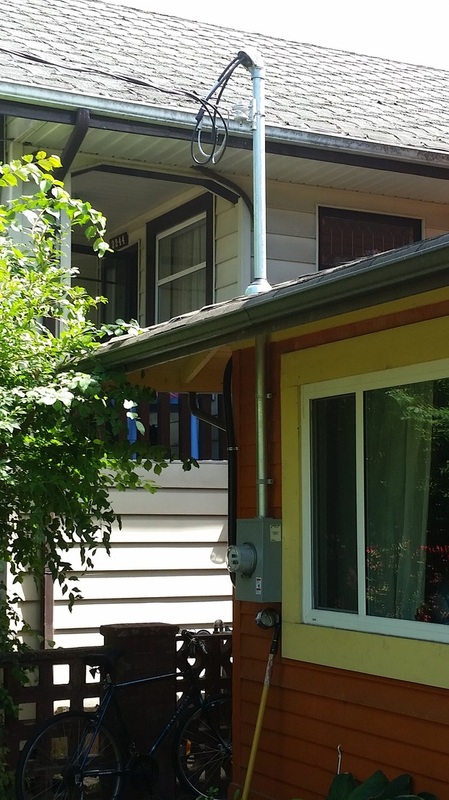 The intermediate power pole was needed to meet BC Hydro's requirements around windows and balconies. The finished installation of under cabinet LED strip lighting in a home in Vancouver. New 200A Overhead Mast running through the roof. A "Roof Flange" is used to seal out water. 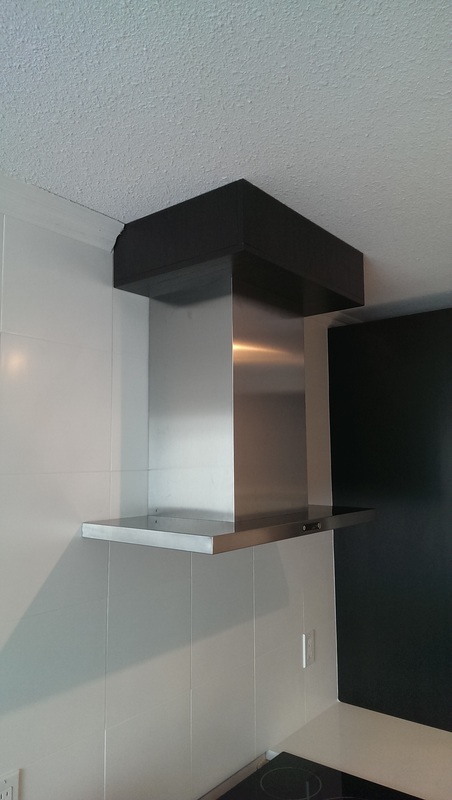 The finished Installation of a Hood Fan. A custom wooden box is used to conceal the wiring and duct work where it enters the ceiling. 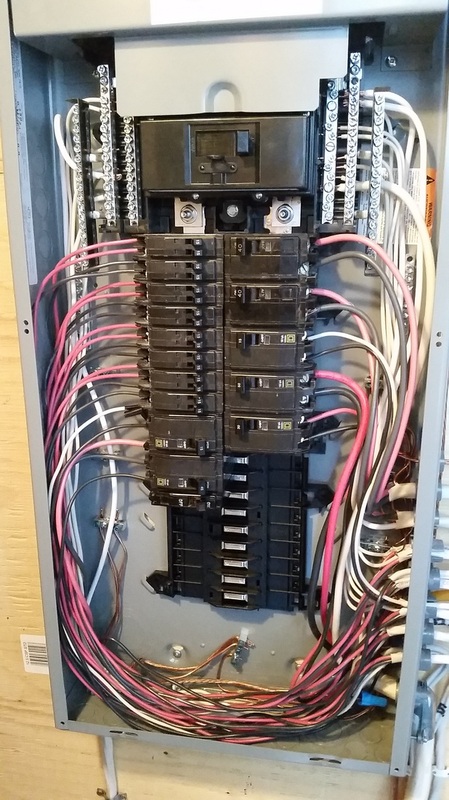 200A Service Panel with 3 wire circuits connected. Proper phase polarity is must be observed whenever connecting a 3 wire circuit to a 120/240V panel to prevent overloading the neutral conductor. A Mid-Span 200A Tap connection was the only way to connect power from BC Hydro's Grid. 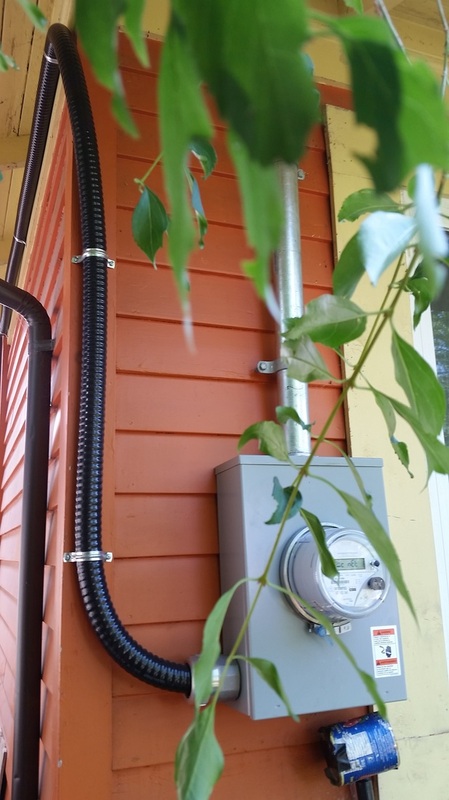 Hydro has specific requirements which must be met whenever this type of connection needs to be used.